Frank Warren and the British Boxing Board of Control (BBBofC) are to lodge a complaint about the scorecards for Tyson Fury’s drawn fight with Deontay Wilder. The former heavyweight champ put on a stellar display against American Wilder in Saturday’s WBC heavyweight title fight in Los Angeles but the match was controversially ruled a draw. 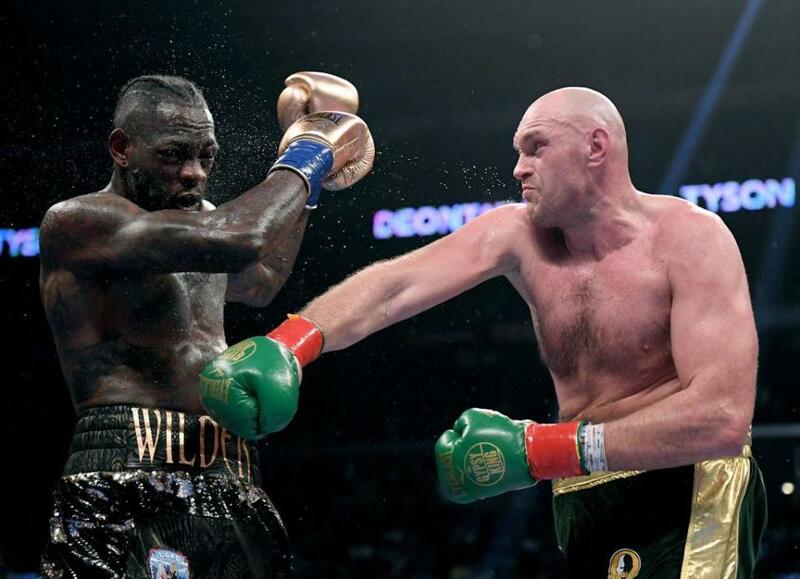 Mexican judge Alejandro Rochin scored the fight 115-111 in favour of Wilder despite Fury appearing to dominate the bout for long periods. Fury suffered two knockdowns but was ahead on American judge Robert Tapper’s scorecard, while British judge Phil Edwards scored it level. It was a decision that outraged many in the boxing community including Lennox Lewis and Fury’s promoter Warren and the BBBC will move to protect their fighter’s interests. “I’ve spoken to Charlie Giles, president of the British Boxing Board of Control and they, along with us, will be writing to the WBC asking that they look at what’s gone on there and to order the rematch,” Warren said. Reflecting on what unfolded at Los Angeles’ Staples Center, the 30-year-old then said: “It was a great performance, if I do say so myself. “I’m very happy with the fight, but put it this way, if I didn’t get knocked down twice in that fight, on one of the judge’s scorecards I’d have still lost, so he needs banning from boxing forever because he clearly can’t judge. “Rochin, you need sacking, or to go to Specsavers, mate. Even without the knockdowns he still had me losing the fight. “I’ve never seen a worse decision in my life. I don’t know what fight those judges were watching; the guy who gave it 115-111, I don’t know what he was watching. It ain’t the first time this has happened. “That’s as bad a decision as the first Lennox Lewis-Evander Holyfield fight (in 1999), but who am I to say anything? I’m just a fighter, I’m not the judges. Boxing legend Lewis – who was on the wrong end of a similar decision in US against Holyfield in March 1999 – insisted Fury deserved to be crowned the winner. “They need to get some good judges, these judges were terrible,” Lewis said. “It happened to me and I knew it was going to happen to him. Everybody could see who won. Boxing definitely won and Tyson Fury won the fight to me. Former two-weight world champion Andre Ward wrote on Twitter: “A draw, I understand (even tho I feel Fury won by a 2 or 3 rds).